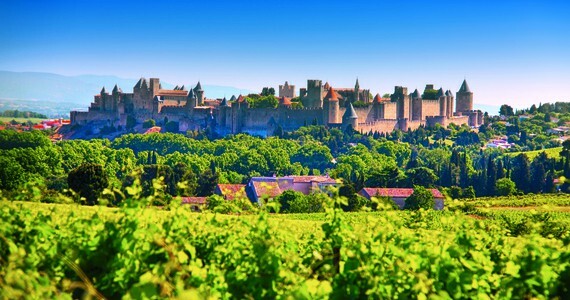 Our flagship Languedoc tours are based principally in Carcassonne and the surrounding vineyards. In the medieval walled city of Carcassonne, take a step back in time and explore the cobbled pedestrian streets of this UNESCO World Heritage site. Famous for its Roman and medieval fortifications, the old town has been painstakingly preserved and boasts a unique charm and individuality that attracts millions of tourists each year. 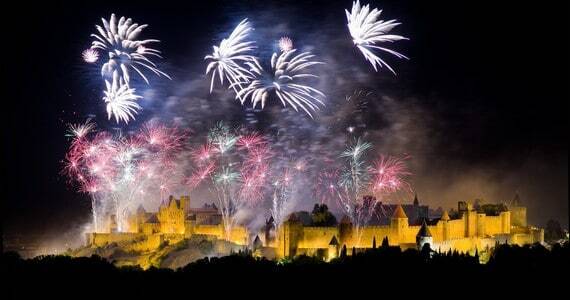 Château Comtal is the second most visited attraction in France after the Eiffel Tower itself! Here, visitors can wander the quaint streets and soak up the historical atmosphere before heading off on a wine tour to the surrounding vineyards. To escape the bustle of the city during peak tourist season, we also offer self-drive breaks based in the picturesque Minervois vineyards. 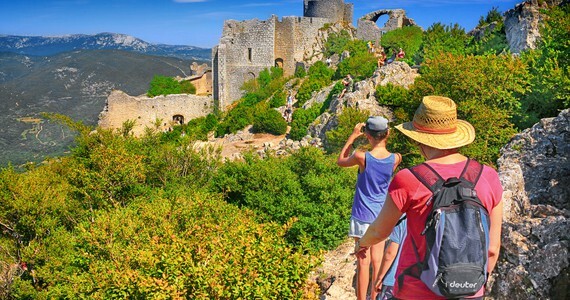 The patchwork of hills and vineyards face the majestic Mountain of Alaric and the caves, dolmans and the Canal du Midi attract those looking to enjoy the warmth and ambience of the South of France in a tranquil setting. Romanesque chapels and pretty villages lead to Minerve, which protected the Cathars 800 years ago. 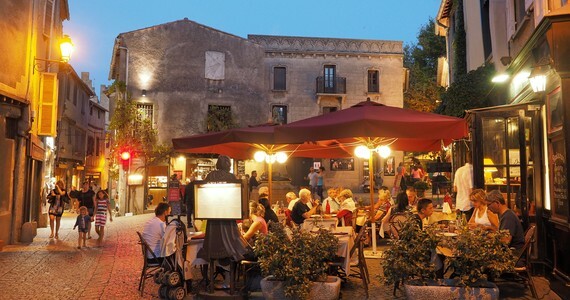 Perpignan is a lively and charming city in the warm and sunny South of France. Through its rich history, Perpignan has been both a French and a Spanish city, and was elected the Capital of Catalan Culture in 2008. As a result, the street signs of the city are written in both French and Catalan- the perfect occasion to hone your language skills! 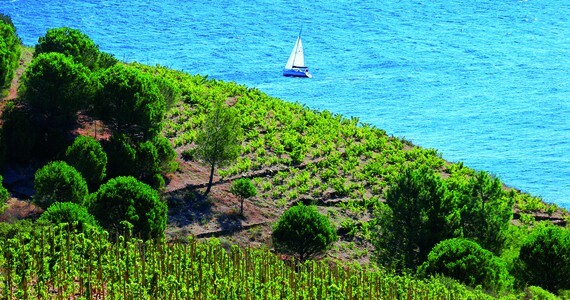 Alternatively, you may prefer to wander and enjoy the local wines, and frankly we can’t blame you! Main sites of interest include the Cathedral of Saint John the Baptist and the Palace of the Kings of Majorca. Built between the 13th and the 14th Centuries, this stunning gothic fortress is a must see. Its enchanting gardens overlook the gorgeous surroundings, leading to the deep-blue Mediterranean sea. La Loge de Mer is an impressive building with a truly unique style. Built in the 15th and 16th Centuries, it used to be the seat of the local power. 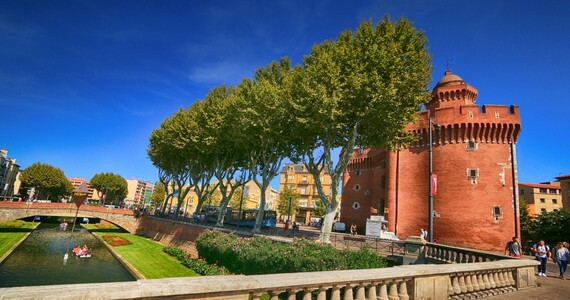 Perpignan is a wonderfully verdant city, and boasts several lovely parks, ideal to cool down and unwind on a very warm day. Narbonne has always been considered to be the heart of the Languedoc in terms of wine, as its port makes it an important trade hub for the wine industry. Just a quick note to say really fantastic visit and you all did a brilliant job of organisation and choice. The impressive Cathedral is definitely worth a look. This prestigious gothic building dates back to the 13th Century, and its cloister and bell tower are absolutely charming. The second main French papal building after the Pope’s Palace in Avignon, the Archbishop’s Palace of Narbonne is a combination of both the old and the new palace, creating a very interesting building with unique architecture. Today, the palace houses two museums. The Roman Pont des Marchands is also a must see. It is one of the last inhabited bridges in France and offers a lovely view of the canal. You may also wish to wander around the Halles, a colourful indoor market with plenty of delicious local specialities. 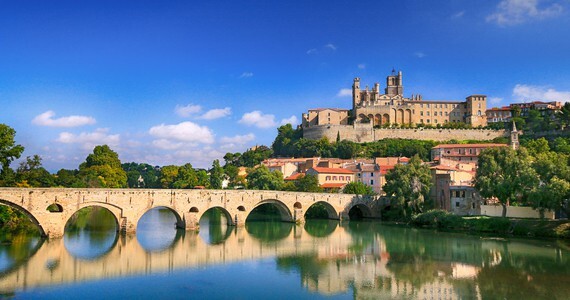 Beziers is one of the oldest cities in France and already existed before the Celts and the Romans. Main sites of interest include the Cathedral Saint-Nazaire, perfectly located at the top of the hill and offering a splendid view across the city and its lovely surroundings. The Plateau des Poètes is an absolutely beautiful English-style garden dating back from the 19th Century. 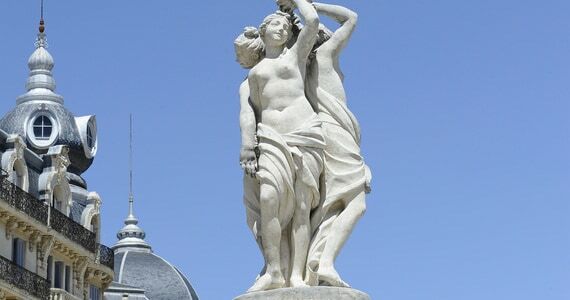 You will be charmed by its numerous statues and fountains. The old bridge is also definitely worth a visit. 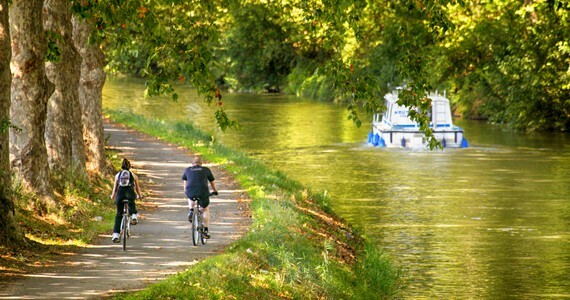 The Canal du Midi, which with the Canal de la Garonne connects the Atlantic Ocean to the Mediterranean Sea (from Bordeaux to Sète) flows through the city of Beziers, and here you can admire the Fonserannes Locks as well as taking a picturesque walk along the canal. Beziers is famous for its arenas, where traditional bullfighting takes place. One of the arenas actually dates back to the Roman Empire, and the other ones are been modelled on the Spanish ones. These arenas are some of the largest in France! Throughout August, they welcome concerts and corrida, particularly during the famous local feria- a big outdoor festival where people dress in red and white. Montpellier is the eighth largest city in France, and is hugely popular amongst students. This lively and dynamic city, ideally located on the Mediterranean coast, is an enchanting place to visit. The historic centre of Montpellier is called the “Écusson” (a type of medieval shield) due to its shape. The Babotte tower and the Pins tower are the only remaining foundations of the former city walls. The main square of the city is called la Place de la Comédie. The gothic Saint-Pierre de Montpellier Cathedral, dating back to the 14th Century is absolutely stunning and definitely worth a visit. The Rue Bras de Fer is a charming well-known and picturesque cobbled street of the city centre with an impressive medieval arch. You may also want to visit the medieval mikvé, the Jewish baths of the city dating back to the 13th Century. We also recommend stopping by the Saint-Clément aqueduct (also known as the Arceaux). Sète is an quaint little place, known as the Venice of the Languedoc. It is the hometown of countless French artists as well as a popular place to visit. Main sites include the Lighthouse of Mont Saint-Clair, the Étang de Thau lagoon for oyster tasting, the Crique de l’Anau beach as well as the Royal Canal.